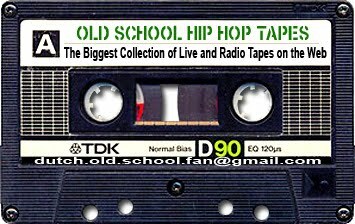 Don't know where to start with collecting or listening to old school hip hop tapes? How about these 20 tapes from the early days: 1977 till 1980. Funky 4, Crash Crew, Whiz Kid, Mean Gene, Grandmaster Flash, Bam, Donald D, Master Flowers, Caz and more. Thanks Dutch for the re-ups I appreciate you. If you can re-up The Mercedes Ladies Thanks again Salute. there are 2 maps 1984 and 1985, containing 13 and 10 tracks and there are 22 tracks in the main folder. All should be publicly available. If you can't find / download them, let me know and i will share them on mediafire. what is that first record they're rhyming over from the track called: 1 cold crush whipper whip dotta rock south bronx high 1979 ?